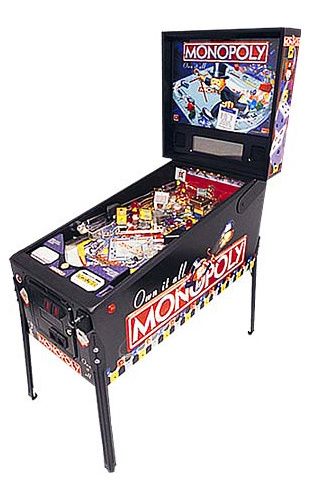 Monopoly Pinball is a pinball machine from September 2001, manufactured by Stern Pinball, Inc. The theme is based on the popular board game of the same name. Monopoly is the first game designed for Stern Pinball by Pat Lawlor. Design and features a more varied and deeper rule set than the earlier Stern offerings. Monopoly Pinball game is bright and inviting and offers a wide variety of shots and modes. 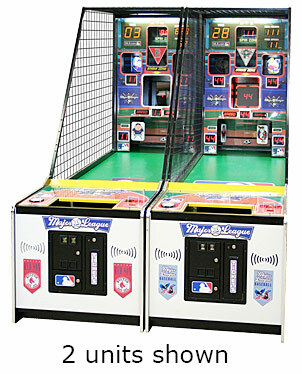 Multiple multiball modes are available and none are of the “newbie-friendly-hit-the-flashing-shots-for-continuous-multiball” modes that have been traditionally featured on Stern pinball games. The playfield features a modified Monopoly game board oriented on the diagonal as the major feature on the lower half of the playfield. Mr. Monopoly appears to be climbing over the top right side of the board, with his cane in his left hand, rolling the dice with his right. Income and Luxury Tax, the Electric Company and Water Works and all but one of the Chance and Community Chest spaces have been removed from the playfield version of the game board, which, as a result only has 32 of the standard 40 spaces. (Compare to the standard board that is depicted on the backglass). Smaller images of Mr. Monopoly are scattered about the playfield. Water Works pipes are featured under the lower jet area. 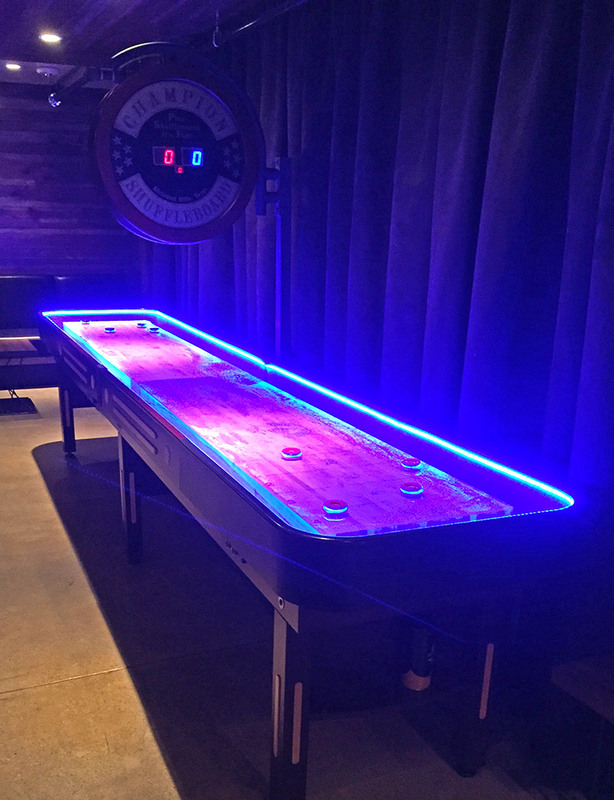 The top center alley shot to the Roll & Collect lane feature two large dice over a white arrow. There are major areas of yellow/orange, pink, green, blue, orange and light purple.